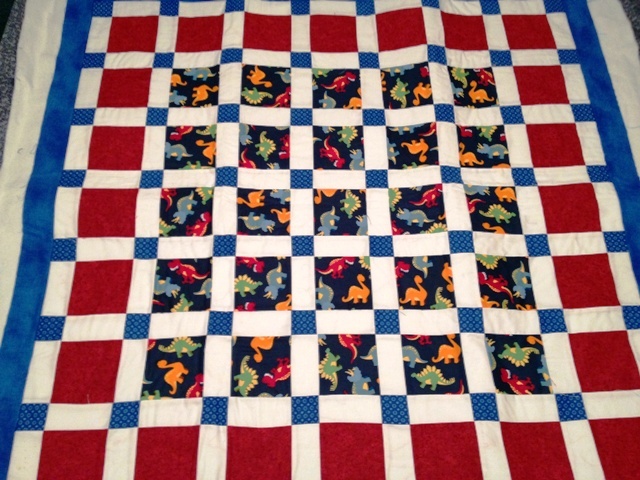 How would you quilt this??? Thread: How would you quilt this??? SID would look nice. I can also see cross-hatching really making this pop. you could go across diagonally through the sqs and blue cornerstones into the red sqs and cornerstones. both ways across. 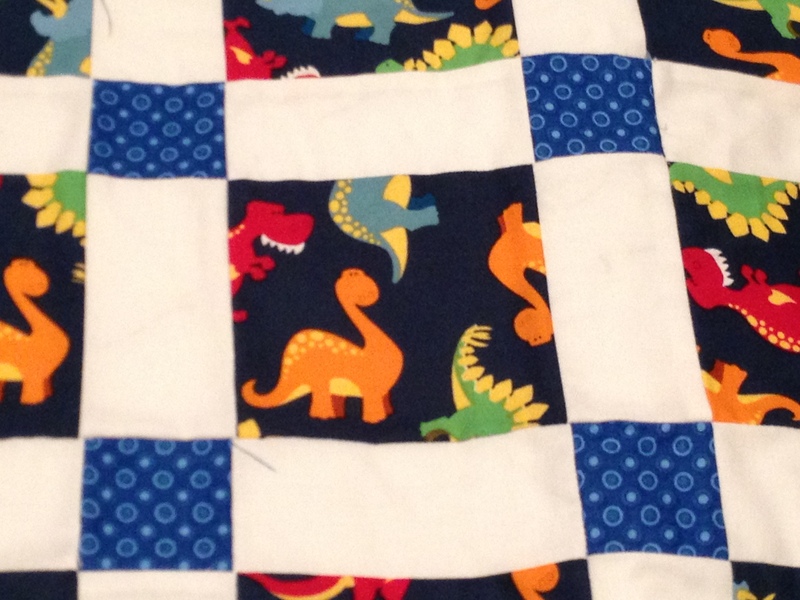 You could enlarge one of the dinosaurs and quilt that in the plain squares. May I suggest a meandering design with the odd baby bottle, pacifier,bootee or diaper pin thrown in. I'm not all that keen on a lot of sid. check out this site, near the bottom with a cream background. Yours need not have such intense stippling or stitching, depending on your experience, sometimes less is more. Post a pic when you're done, won't you? I almost do a large stipple or a large meandering. All the other ideas sound okay too. I vote for an overall crosshatch. It will get a lot of laundering. I like SID with something in the patches with the dinosaurs - theme appropriate.